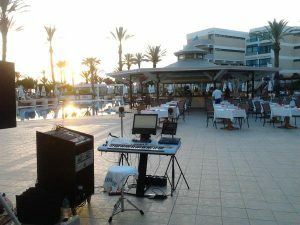 Tim Dyke-Smith is an international, experienced pianist, keyboard player and vocalist entertainer. He derives his over 25 years musical career from performing on cruises, corporate events, weddings, heritage hotels and long term residencies in the UK and abroad. Tim is one of our first MusicOne customers. 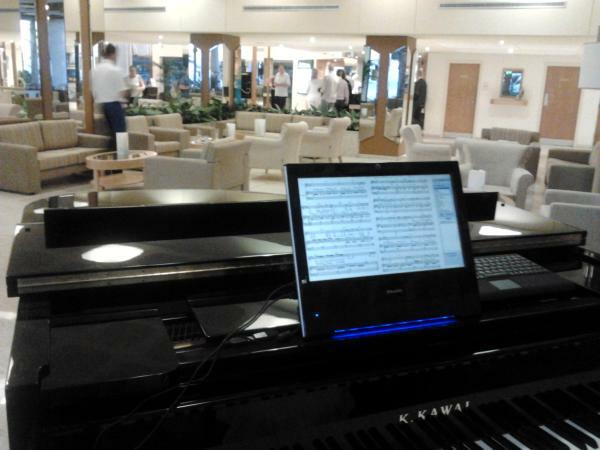 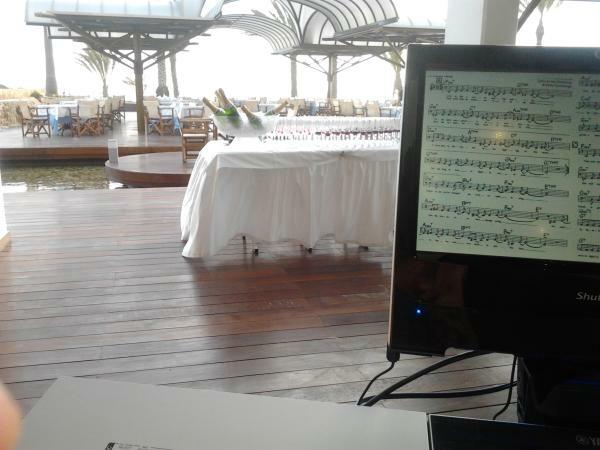 You can see his MusicOne proudly displayed in these photographs which were taken during hotel performances in Cyprus. Tim’s website is http://www.pianist-vocalist-composer.com and his compositions are available on iTunes under Tim Dyke-smith.